We are working on the PDF. It will be available very soon. I would appreciate if you would send me the pdf of this book as the topic is relevant to my research. Felicidades a las coordinadoras y editoras! The book aims to contribute to understanding the diversity of cultural expressions in the digital age and to shed light on appropriate measures and policies to meet the challenges and opportunities brought by new technologies. A trilingual multidisciplinary work (available in French, English and Portuguese), it brings together theoretical studies, opinion papers, case studies and testimonies on projects and practical initiatives grounded in various disciplines. 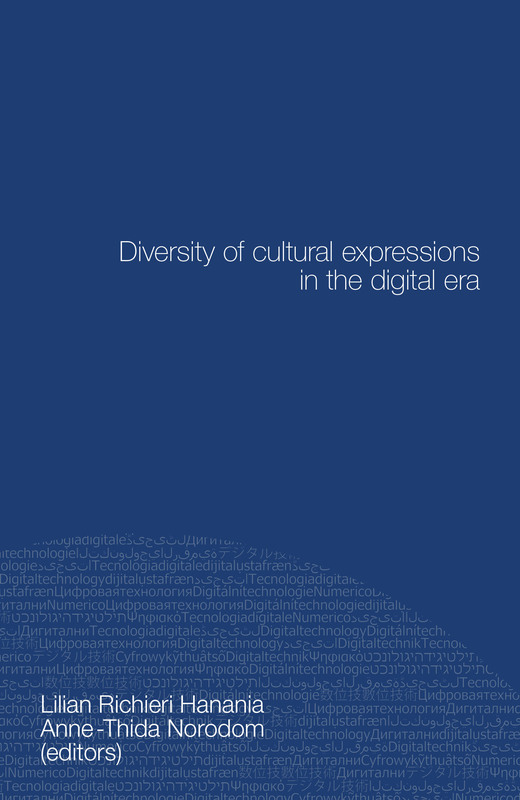 Part I of the book deals with the challenges and opportunities related to digital technologies for the diversity of cultural expressions. Part II deals with the integration of digital technologies in the preparation and adoption of cultural policies. Part III brings together practical initiatives and projects that integrate digital technologies to promote diversity. Additional texts and interviews provide complementary analysis in Parts IV and V.
5. The Music PEC: An analysis of the lawmakers’ position: Tax waiver to the benefit of access to culture or market reserve? 9. The Internet platforms’ impact on the Diversity of Cultural Expressions: to the Long Tail, and beyond! 10. Is Cultural Diversity Adapted to the Digital Era? 12. Will Digitisation Help Remobilise Civil Society? The content and opinions expressed in this publication are solely those of the author(s). Sign up for free | Forgotten password?